PIG VALVE also named as pig launcher valve or pig ball valve, Pig Valve is a newly type device for pig launching or receiving and have the two position shut-off ball valve function. Use pig valve to launching or receiving pig would more easily accomplished pipeline cleaning, emptying, separating and sequential transportation of medium. The pig valve can completely replace the complex conventional pig launcher and receiver system, which core is launching or receiving barrel. Compared with conventional pig launching and receiving device,pig valve is much more preference in compact structure, stable performance, easy operation, easy to installation and maintenance, lower purchase cost and running cost. These advantages make pig valve a preferred solution to limited space such as offshore platform. 1. 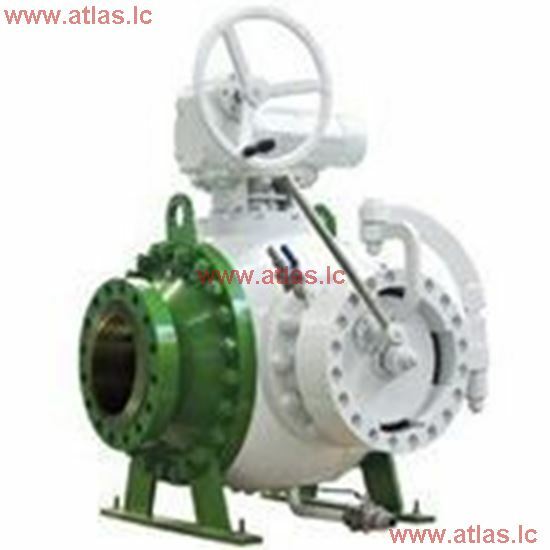 The separating pig valve is mainly used for separating or sequencing transport medium, the area of ball bore is approx. 3% larger than the flow area of pipe. And the receiving valve has an additional seal so as to prevent with certainty any mixing of the media to be separated after the pig has arrived. Thus ensure the good separating effect. separating pig valve is a patent product to Dipper Valve, Dipper Valve with completely independent intellectual property rights. Separating pig valve is a preferred solution to protect the internal floating tank from damaged by gas flow to tank when pigging. 2. Bypass pig valve is a pig valve with bypass, two elliptical flow channels have been provided in the valve ball, and are in the perpendicular direction to the ball bore, the cross section of the bypass is approx. 25% of the pipe, this ensure delivery flow not be interrupted when receive or launch pig (valve in closed position). 3. Cleaning Pig Valve is the standard pig valve, the area of ball bore which is approx. 25% larger than the flow area of pipe. To keep the continuous flow during pigging. Cleaning pig valve can be use as the shut off valve.